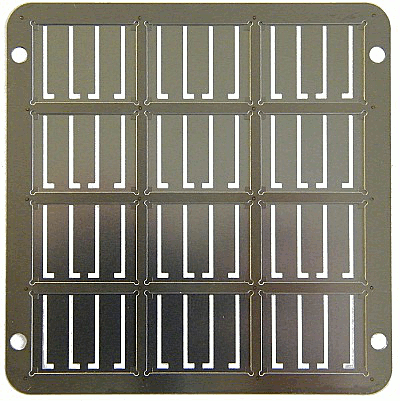 An evaporation mask for deposition of gate contacts, for use with the high density OFET system. A 200 μm standoff-spacer ensures that the mask does not touch the substrate while still enabling good deposition resolution. Update: As part of our product improvement program, we have decided to simplify the masks available. Each type of mask is now available as a two sided mask. 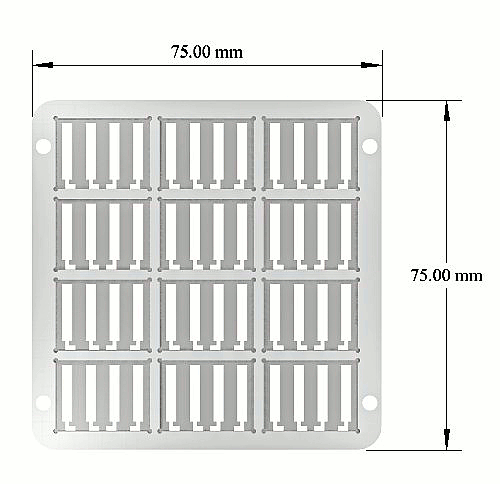 On one side a spacer and substrate holder are welded to the mask and on the other just a substrate holder. This will make both options available for our customers to test out if they are uncertain which is best suited for their work. It also means you only need to purchase a single mask (rather than two) if you would like to use both systems. Please note that the single sided masks are only available while stocks last. 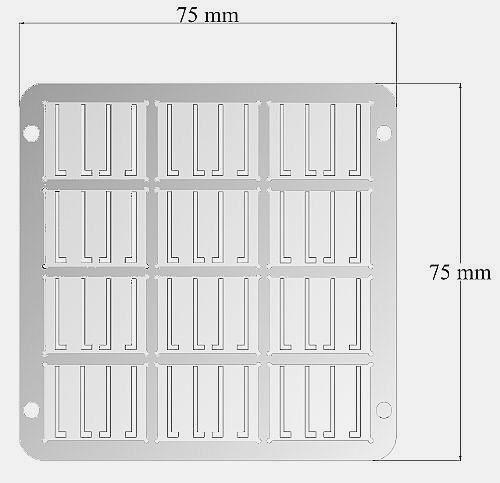 However, if you are concerned that the double sided masks will be too thick for your evaporator, please do get in touch as we will be happy to help with this. Dimensioned diagram of the high density linear OFET gate mask (E336). Optical image of the high density OFET gate mask (E336). Dimensioned diagram of the high density interdigitated OFET gate mask (E337). 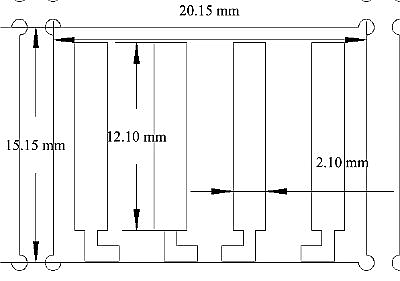 Dimensioned diagram of the substrate sections of the high density interdigitated OFET gate mask (E337).